Are you smitten? 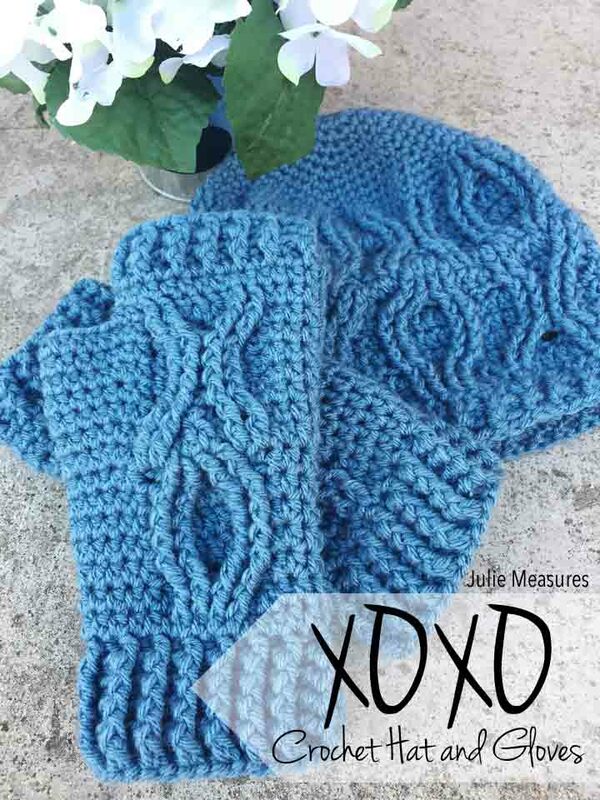 Make these matching XO crochet hat and gloves. The hat pattern is a PDF file. The glove pattern is also a PDF file but downloads as a zip file. The hat pattern is worked in continuous rounds. The cables are a bit tricky. I would call this at least an intermediate pattern. Cable that twists to the right have skipped stitches that are worked behind the previous 2 stitches. 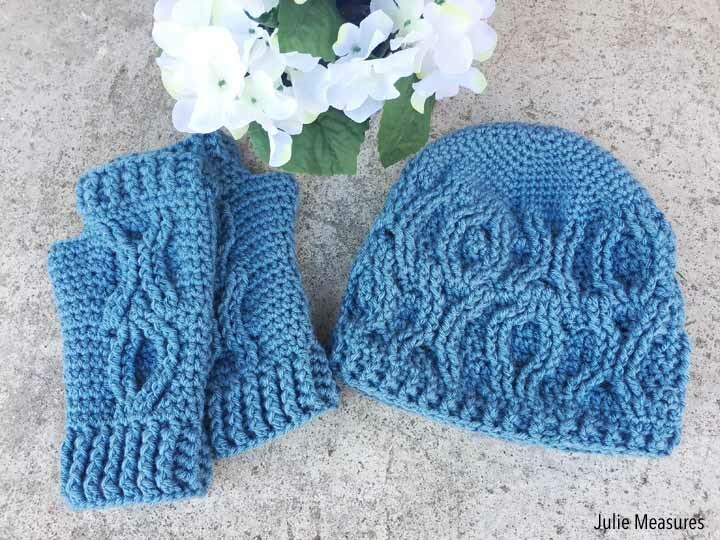 Finished hats and gloves fit an adult woman.